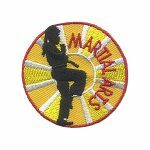 Martial arts are a great way for your girls to learn about fitness and self defense. Ask your local martial arts studio to allow your troop to come in for a class or for an instructor to come into a meeting to teach the girls some basic moves. This eye catching patch will remind the girls of this fun activity. 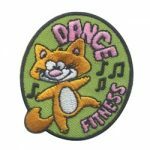 Help girls discover that dancing is not only fun but can keep them fit! Take a trip to a dance studio or invite a dance instructor to visit so the girls can learn different styles of dance and how dance fits into a healthy lifestyle. Help girls of every level learn healthy habits to keep them feeling and looking their best. 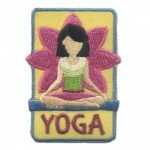 Beginners to experts will find their inner peace with our yoga patch. 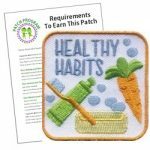 Teach your girls about keeping a healthy body and mind through yoga and share this patch from MakingFriends®.com as a reminder. 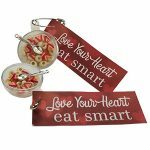 Send a positive healthy message with crafts that are sure to get noticed!